The original edition of The Geometry of Musical Rhythm was the first book to provide a systematic and accessible computational geometric analysis of the musical rhythms of the world. It explained how the study of the mathematical properties of musical rhythm generates common mathematical problems that arise in a variety of seemingly disparate fields. The book also introduced the distance approach to phylogenetic analysis and illustrated its application to the study of musical rhythm. 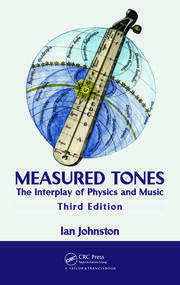 The new edition retains all of this, while also adding 100 pages, 93 figures, 225 new references, and six new chapters covering topics such as Meter and Metric Complexity, Rhythmic Grouping, Expressive Timbre and Timing in Rhythmic Performance, and Evolutionary Phylogenetic Analysis of Ancient Greek Paeonic Rhythms. In addition, further context is provided to give the reader a fuller and richer insight into the historical connections between music and mathematics. Does African Rhythm Possess Meter? 29. Phase Rhythms: The "Good," the "Bad," and the "Ugly"
41. What Makes the Clave Son Such a "Good" Rhythm? Godfried T. Toussaint is a Canadian computer scientist born in Belgium. Presently, he is a Research Professor of Computer Science at the University of New York, Abu Dhabi, United Arab Emirates, a Research Affiliate at the Massachusetts Institute of Technology in the Computer Science and Artificial Intelligence Laboratory, a Researcher in the Center for Interdisciplinary Research in Music Media and Technology (CIRMMT) in the Schulich School of Music at McGill University, and an Emeritus Professor of Computer Science at McGill. After receiving a PhD in electrical engineering from the University of British Columbia in Vancouver, Canada, he taught and did research at the School of Computer Science at McGill University, in the areas of information theory, pattern recognition, pattern analysis and design, computational geometry, instance-based learning, music information retrieval, and computational music theory. In 1978, he received the Pattern Recognition Society’s Best Paper of the Year Award and in 1985 he was awarded a Senior Killam Research Fellowship by the Canada Council. In May 2001, he was awarded the David Thomson Award for excellence in graduate supervision and teaching at McGill University. He is a founder and cofounder of several international conferences and workshops on computational geometry. He is an editor of several journals, has appeared on television programs to explain his research on the mathematical analysis of flamenco rhythms, and has published more than 360 papers. In 2009, he was awarded a Radcliffe Fellowship by the Radcliffe Institute for Advanced Study at Harvard University, for the 2009–2010 academic year, to carry out a research project on the phylogenetic analysis of the musical rhythms of the world. After spending an additional year at Harvard University, in the music department, he moved in August 2011 to New York University in Abu Dhabi. "Toussaint’s Geometry presents a whirlwind tour of the world’s rhythms … For a reader interested in musical rhythm, Geometry is a great introduction to the computer science and mathematics of rhythm. For a reader interested in algorithms and mathematical reasoning, the musical focus provides compelling examples lying at the intersection of the arts and the sciences." 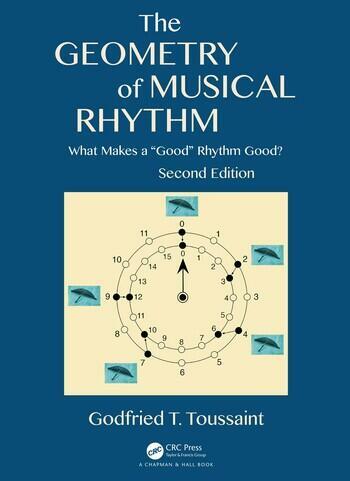 "… a delightful, informative, and innovative study in the geometric interpretation of rhythm. … It is a pleasure to find an author who has such good command of mathematics and music and who can explain their interconnections with such literary skill. 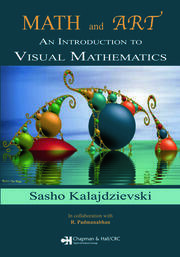 I recommend this book wholeheartedly to every serious student of geometry and music." "This dynamic fluid presentation of mathematics is exactly what our undergraduate and graduate students need. … I would highly recommend this book for everyone."